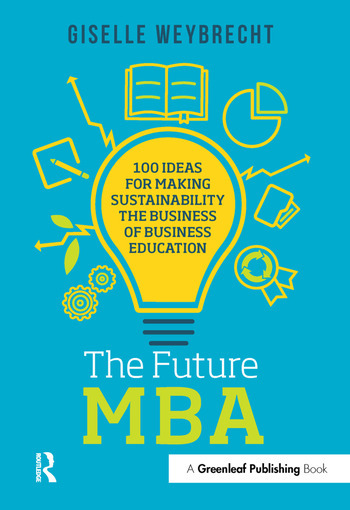 The Future MBA brings together 100 ideas on how to rethink management education in order to embed sustainability. This book acts as a creative toolkit for individuals working in management education on how to design new and innovative products, services, and experiences for the business school community with a focus on sustainability. What if we took a moment to stand back and look at the bigger picture? What would the business school of the future look like? Rather than a roadmap, the 100 ideas presented in this book are meant to be a source of inspiration in responding to these questions. Some ideas could be put into practice tomorrow, some would require a complete reassessment of the way we view business education, and others are meant to encourage more ideas… and more action, to turn management education into a key player in moving the sustainability agenda forward.